A series of standalone movies will feature character backgrounds from the Star Wars films. 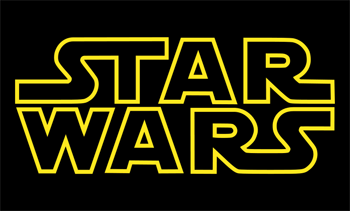 Rumors had been circulating earlier this year about standalone movies between Star Wars Episodes VII, VIII, and IX. a recent Disney investor conference has put them to rest. Jay Rasulo, Disney's chief financial officer, clarified that these standalone movies will not be spinoffs but "origin story films." The first origin story film will come out in 2016, after the 2015 release of Episode VII, directed by J.J. Abrams. The three episodes and three origin films will be produced over the course of six years, starting from 2015. Disney has not released any details yet on who the first origin story film will be about nor what the plans for the next trilogy of films will entail. IGN guessed the films might address Han Solo or Yoda's past because their beginnings have been touched on very little. There are plenty of characters in the universe to choose from, including villains such as Emperor Palpatine. Rasulo said the franchise is still going strong and "the market is extremely hot for everything Star Wars." Disney purchased Lucasfilm last year, and the company plans to expand the franchise's presence in theme parks and its brand around the world. Variety notes that Lucasfilm primarily licensed Star Wars toys, but Disney plans to broaden the franchise into "housewares." "Of all our worries, Star Wars is not one of them," Rasulo said at the investor conference.